Please take a moment to read these terms and conditions including our policies (“Terms”) to understand how they apply to your use of our Website and any products or services that may you may order online. USE OF AND/OR REGISTRATION ON ANY ASPECT OF THE WEBSITE WILL CONSTITUTE YOUR AGREEMENT TO COMPLY WITH THESE RULES. The Eat’s Delicious Website at www.eatsdelicious.co.zais owned and operated by Eat’s Delicious Pty) Ltd a company registered in the Republic of South Africa under company registration number 2016/240386/07, which has its registered office at 5 Dalebrook Place, 22 Main Road, Kalk Bay, Western Cape, 7975. Eat’s Delicious (Pty) Ltd is a subsidiary of Cape Continental Meats. The Website Content is protected by copyright, trade mark and other intellectual property laws and is the property of Eat’s Delicious and its authorized service providers. The copying, reproduction, publication, display, rearrangement, redistribution, modification, revision, alteration, cropping, re-sizing, reverse engineering, movement, removal, deletion, or other use or change by you, directly or indirectly, whether by omission or commission, of any such Website Content, including but not limited to the removal or alteration of advertising, is strictly prohibited. You acknowledge that Eat's Delicious and its third party service providers have not reviewed and do not endorse the content of all sites linked to and from this Website, and are not responsible for the content or actions of any sites linked to or from this Website. Linking to any service or site is at your sole risk. You agree to indemnify Eat’s Delicious against any loss, damage, harm, claim or any other cost whatsoever that we may sustain as a result of your use of our Website and/or its contents contrary to these Terms. You are free to opt out of receiving our marketing material at any stage by clicking here. It may take up to one month for your profile to be updated. Eat’s Delicious does not necessarily endorse, support, sanction, encourage, verify or agree with the comments, opinions or statements posted on forums, blogs or otherwise contained in the Website. Any information or material placed online, including advice and opinions, are the views and responsibilities of those who post the statements and do not necessarily represent the views of Eat’s Delicious or its third party service providers. You agree that Eat’s Delicious and its third party service providers are not responsible, and shall have no liability to you, with respect to any information or materials posted by others, including defamatory, offensive or illicit material, even material that violates this Agreement. All rights, including copyright, trade mark and other intellectual property rights embodied in any logos, text, images, video, audio or other material on this Website are owned by or licensed to us. All data and information communicated to or from the Website including its database also belongs solely to our licensors or us. You agree to sign all documents as we may reasonably require in order assigning any rights that you may acquire in the content of our Website. You agree also to waive any moral rights in such content. You are permitted to view, print or store electronically a copy of any information on our Website, including these Terms, solely for your personal, lawful, non-commercial use. Unauthorised use, reproduction, modification and/or distribution is strictly prohibited and constitutes an unlawful infringement of our intellectual property rights. You hereby indemnify Eat’s Delicious and its affiliates, employees, agents, representatives and third party service providers, and hereby defend and hold each of them harmless from any and all claims and liabilities (including legal costs on the attorney-client scale) which may arise from your submissions, from your unauthorised use of material obtained through the Website, or from your breach of this Agreement, or from any such acts through your use of the Website. These online shopping terms and conditions apply to all purchases ordered online at www.eatsdelicious.co.za Please read them carefully and print a copy for future reference. You are required to register with us before placing your first order online. Please click on Register to complete the registration form. Registration and/or use of our online shopping Website constitute your acceptance and agreement to be bound by the Terms of our Website, including the additional online shopping terms below. Registration on our online shopping site is conditional upon your specified delivery address being within certain specified areas. If your delivery address is not in an area where we deliver, your registration will not be completed. After you have registered, should you change your delivery address to an address which is not in an area where deliver your order will not be accepted. To register you will be required to provide certain information including personal details, payment card details and your delivery address. (Please confirm this information is true?) When registering you will be required to choose a UserID and a password. Please keep your password private. Eat’s Delicious accepts no liability for any damages suffered or losses incurred from the use or misuse of your password. You will be required to enter your user ID and password each time you visit our online shopping site. To amend any registration particulars please click on “My Profile” and edit your details. Products are variable/random mass items. Whilst the average mass of the Product is indicated on the Online Shopping Site as a guide to the cost, the actual Product delivered to you may weigh slightly more or less than the average mass indicated. You will be charged the actual amount due in respect of the specific Product delivered to you. Prices include Value-Added Tax. Special promotions may be subject to certain conditions, including stock availability and limited offer stipulations. Eat’s Delicious cannot always guarantee availability of stock and will endeavour to deliver a substitute line where possible. If you find that the product is defect, please report within 24-48 hours of receiving your order. You will only be able to cancel orders up to midnight on the day prior to the date of delivery. 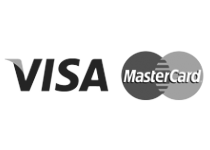 We reserve the right to debit your payment card for the delivery fees in respect of any late cancellations. If you cancel your payment for any reason or if your payment card should cease to be valid for whatever reason, you will nevertheless be bound to pay to the full purchase price, including all costs incurred by us relating to the recovery thereof. Without prejudice to any other rights or remedies in law, we reserve the right to cancel forthwith any sale and/or your registration in the event of your breach any of the Terms.